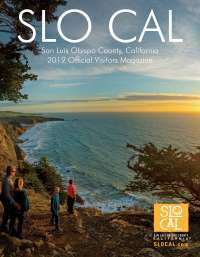 San Luis Obispo, CA (May 21, 2014) â€”The San Luis Obispo Vocal Arts Ensemble will be ushering in the season of summer in style, holding two concerts entitled â€œSummer In Songâ€ in San Luis Obispo on June 7 and in Cambria on June 8, both at 3:00 PM. Highlights of the program include songs by acclaimed choral composers Eric Whitacre and John Rutter plus popular favorite, â€œBridge Over Troubled Waterâ€ by Simon & Garfunkel. Experience many more traditional songs, contemporary tunes and pop favorites sung by over 50 adults on stage with instrumental accompaniment and several soloists. A World-Class Ensemble For the last 37 years, the Vocal Arts Ensemble has been regarded as a community treasure of Californiaâ€™s central coast, regularly entertaining audiences with a variety of concerts in and around San Luis Obispo County. The group has also become highly regarded beyond our shores, winning friends, acclaim, and awards in international choral festivals. Tours have included the British Isles, Russia, Poland, Italy, Austria, Slovenia, Hungary,the Czech Republic, Argentina, Uruguay, Sweden, Norway and Canada.Over the years, numerous singers with Vocal Arts have also been successful professional performers. Others are dedicated amateurs who may be seen performing a variety of noteworthyâ€œday jobsâ€ in the community. A beloved mainstay of the Ensemble is its primary accompanist, Barbara Hoff, who was formerly the principal keyboardist with the SLO Symphony. The groupâ€™s founder, Gary Lamprecht, is well known as an inspiring teacher, leader, and visionary in the world of choral music , and who recently was awarded the Lifetime Achievement award from the American Choral Director&apos;s Association.